Click here to visit the Slim Jim site and write a message of encouragement to the troops. 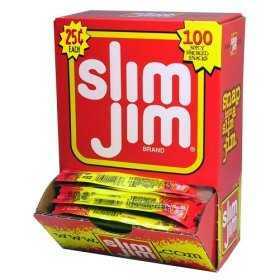 Slim Jim will then send your note along with up to $500,000 worth of Slim Jims. According to their site that’ll be over 1 million Slim Jims consisting of a combination of Giant Sticks, Monster Sticks and Snack Sticks. gotta support our men and women!